We know our friends by how loyal they are to us. A friend will stand by you even when you’re down and out, he will tell you when you are wrong but not give up on you. Our human friends often fall short in this regard but God, the Rock of Ages, never does. Every promise He makes we can bank on. He will always stand by us. And when everyone else deserts and fails us, we know we can count on Him. This should give us tremendous confidence everyday: that we have such a father, friend, saviour, guardian, provider, protector and so much more as He. He has given us the best inheritance ever in Christ Jesus. 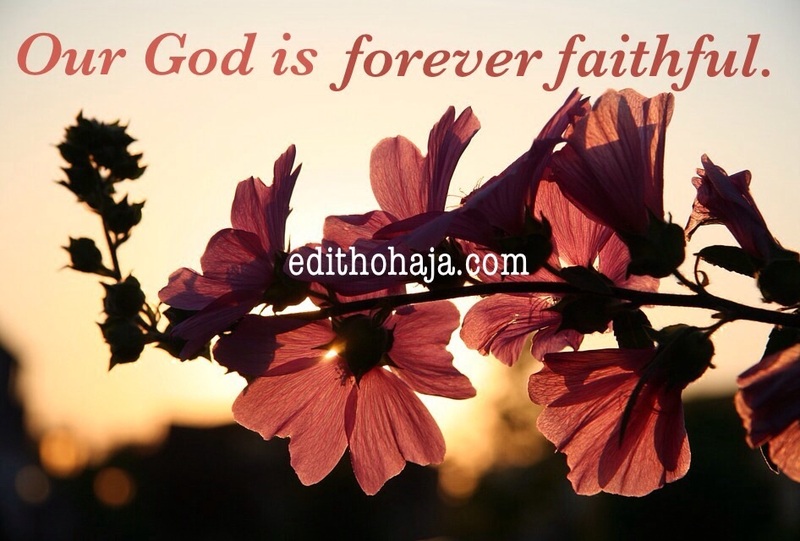 The God of the Universe is our God and He is forever faithful. If you don’t know Him personally, accept Him into your life through Jesus today and testimonies will be your portion. … I will never leave thee, nor forsake thee. Love your post and your blog is beautiful! Keeping it in the scriptures, Sister! Love it! Glad you came by, Mimi! Where would we be without the word of God? Thank you so much and remain blessed! That is who He is! Bless you, Edu! indeed he is even though sometime our sins delay our desirable prayers but he never fails but faithful to us .i love the way you bring people to the love of God. i love this. the lord is your straength. Thank you so much, Rita! Glory to God and abundant blessings to you and yours in Jesus' name.